Popular pastor and author Timothy Keller is influential in evangelical circles today and his views on prayer will shape the understanding of many on the subject. Therefore it was reassuring to find that Keller's take on prayer is biblical, for the most part. It was encouraging, for example, to find he often challenged both the "soft" mysticism of traditional evangelicals and the classical mysticism found in the Spiritual Formation Movement (pp. 51-52. 57-59, 181-182). He also gives illustration warnings of such illuminaries as George Whitfield who elevated impressions to the level of revelation to his own harm (pp. 63, 995-96, 295). And he rejects what he calls "mantra" meditation (p. 51) and Roman Catholic mysticism (pp. 13, 38-40, 56-59, 149-150, 291). Keller rightly proclaims that God speaks to us through Scripture and we speak to Him in prayer (pp. 45, 52-54, 64, 66, 123-124), and that Scripture is sufficient (pp. 275-276). He includes an interesting historical perspective regarding the struggle between the Puritans, who modeled the above view, and the Quakers who sought revelation from God more from an "inner light" than from the Bible (pp. 123-124, 305). Given this biblical foundation Keller suggests the Lord's Prayer as our model (pp. 108-119) and then offers numerous practical insights and methods to aid the reader in their prayer life. As is common with Keller's writing he draws as much, if not more, from famous Christian leaders as from the Bible. Luther, Calvin, C. S. Lewis, Martin Lloyd-Jones, John Owen, and Jonathan Edwards are given much attention (pp. 22, 90, 97-107, 111, 152-162, 264-266). Along the way Keller identifies many types of prayer (p. 60) and what he calls the touchstones of prayer which explain what prayer is (pp. 120-141). This is one of the most helpful and practical sections in the book. There is much to commend in Prayer , but there are concerns as well. Keller often, in his writings, affirms the teaching of highly questionable individuals. In Prayer he touts Roman Catholic author Flannery O'Connor (pp. 10, 276), existentialist Soren Kierkegaard (p. 138), emergent leader Phyllis Tickle (pp. 244, 247, 319), and even to some extent Carl Jung (pp. 38, 282-284). These individuals may on occasion give interesting quotes but their overall teachings need to be exposed as spiritual poison, not passed off as those who can teach us something about prayer. "God does not merely speak...he is present. Prayer is steeped in the awareness, often an awe-filled awareness, of the presence of God," (p. 132). Couple this statement with illustrations from Pascal and Moody (p. 167) and we have the makings for unrealistic expectations for our prayer life that could easily lead to disappointment and prayerlessness. Keller repeatedly distanced himself from the mystics of the Spiritual Formation Movement, including contemplative prayer (pp. 13, 27) and Lectio Divina (pp. 149-150). He even demonstrates the similarity of Buddhist and Roman Catholic mysticism (p. 291). He believes, with Luther, that meditation is the bridge from the Bible to prayer (p. 40) and offers John Owen's stages of meditation as a model (pp. 152-162), carefully distinguishing Owen's method from Lectio Divina (pp. 308-310). Yet sadly he does not close the door on mysticism altogether. He seems to speak positively of Lectio at one point (p. 144) and tells us to read the mystics with caution (pp. 284-286). But then buried in footnote number 300 he in essence claims that the modern "centering prayer" movement gets it wrong because its leaders have attempted to dumb down the true mystical system found in The Cloud of Unknowing . The implication is that modern mysticism has gutted the original of its depth. If the believer will but turn to the earlier teachings of this fourteenth century book they will find helpful insights on prayer and connection with God. 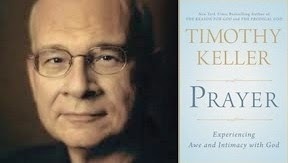 To that end Keller recommends a handful of books supportive of contemplative spirituality (p. 274). This is highly disappointing. Perhaps Keller's philosophy is best understood when he claims that it is better to be doctrinally imbalanced and have a vital prayer life (p. 182). Of course the biblical approach is to be theologically astute and committed to prayer, so Keller's statement is short-sighted at best. While temporally a seemingly passionate prayer life may trump doctrinal soundness, eventually theological error will morph prayer into something dishonoring to God (witness the modern centering prayer movement). Theology must inform and guide prayer, not the other way around. Prayer, Experiencing Awe and Intimacy with God has a number of excellent features, but it is plagued with the concerns mentioned above. It should be read with discernment.